The line of sight is a straight line along which an observer observes an object. When we see an object standing on the ground, the line of sight is the line from our eye to the object, we see. When the object is above the horizontal level of our eye, we have to turn our head upwards to see an object. In this process, our eyes move through an angle which is called angle of elevation. 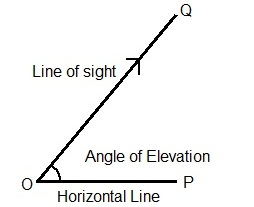 Suppose a man from a point ‘O’ looks up an object ‘Q’, placed above the level of his eye, then the angle which the line of sight makes with the horizontal through ‘O’ is called the angle of elevation of ‘Q’ as seen from ‘O’. ∴ Angle of elevation of Q from O = ∠POQ. When the object is on the ground and the observer is on a building then the object is below the level of the eye of the observer. The observer has to turn his head downward to see the object. 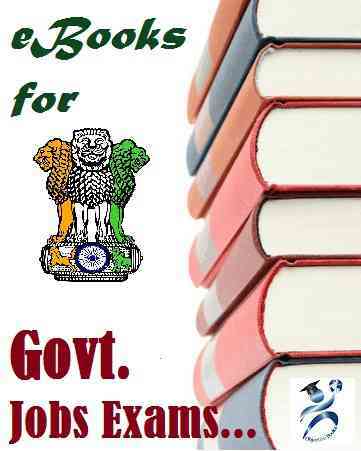 In doing so, his eyes move through an angle which is called angle of depression. Suppose a man from a point ‘O’ looks down at an object ‘Q’, placed below the level of his eye, then the angle which the line of sight makes with the horizontal through ‘O’ is called the angle of depression of ‘Q’ as seen from ‘O’. 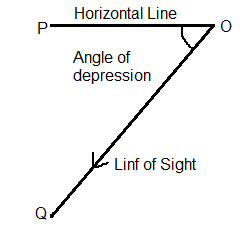 ∴ Angle of depression of Q from O = ∠QOP. A man is walking along a straight road. He notices the top of a tower subtending an angle A = 60° with the ground at the point where he is standing. If the height of the tower is h = 30 m, then what is the distance (in meters) of the man from the tower? Let BC represent the tower with height h = 30 m, and A represent the point where the man is standing. 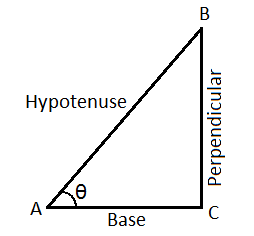 AB = d denotes the distance of the man from tower. 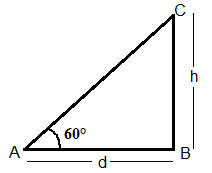 The angle subtended by the tower is A = 60°. So d = 30 / √3 m.
Hence, the distance of the man from the tower is 17.32 m.
There are two temples, one on each bank of a river, just opposite to each other. One temple is 54 m high. From the top of this temple, the angles of depression of the top and the foot of the other temple are 30° and 60° respectively. Find the width of the river and the height of the other temple. Then, AB = 54 m.
Let AC = x metres and CD=h metres. CD = AE = AB -BE = (54-18) m = 36 m.
So, Width of the river = AC = 18√3 m=18 × 1.73 m = 31.14 m.
Height of the other temple = CD = 18 m.